#TBThirsty continues here at Liquid Culture, and I’m featuring what I can only describe as an Tom Collin’s variation. 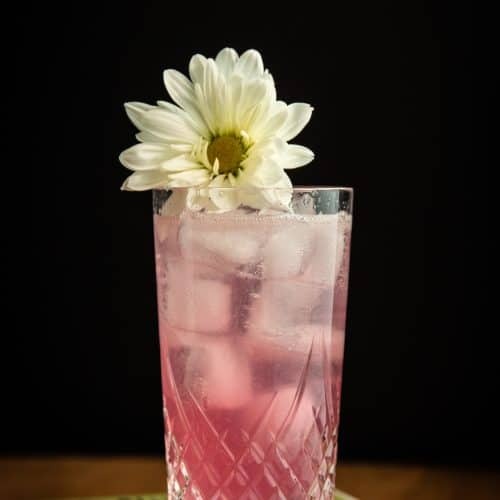 Made with lemon, lime, simple syrup, grenadine, gin and carbonated water, this is the ultimate refreshing cocktail, and you bet I’m going to throw on a daisy on top of daisy. 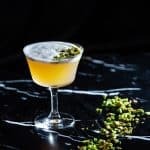 This series looks back at some very classic cocktails and the history behind them, and with spring finally here, the Daisy cocktail caught me eye. Now there is so many ways that the Daisy was imbibed. 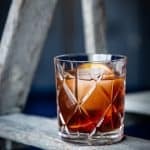 Whether they switched up the spirits between Brandy, Whiskey, Rum or Gin, served in a Collins glass or short like a margarita, that gave it a bit of an identity crisis. That’s why when the Tom Collin’s came in and solidified its mark, the Daisy lost a little bit of it’s edge. I get it. I would admit that this probably something that we face today, and that’s when you order an Old Fashioned. This is the one drink that I need total trust in the bartender before I even attempt to order it. So many places have their own way of making an Old Fashioned that I typically get frustrated if it isn’t presented in the classic method. Therefore I never order it, and I believe that’s the cycle of how cocktails then become lost or somewhat forgotten. Now the thing that I love about David Wondrich’s Imbibe book is his language when it comes to mixology and its history, and I had to add this one excerpt in to describe what a Daisy is. 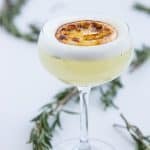 The actual term ‘Daisy’ was loosely used when representing a cocktail that had a sparkling component, just like a John Collins or Fizz. Again this added to its confusion on what to call a “sparkling” cocktail. Later on, it finally got its own unique recipe so there would be no more confusion and that’s with the infusion of grenadine. The old school recipe included an Orange Cordial, but by the 1915, you saw it omitted and grenadine was added. Grenadine was the newest fad, it was the fantastic way to sweeten up a drink and you saw it everywhere in cocktails. To be honest, the artisanal grenadine made from actual pomegranates is fantastic. I can never look at the grocery store grenadine ever again after learning the truth about what grenadine should truly be. 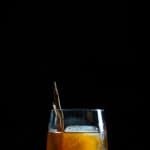 Lucky for you, I have a Homemade Grenadine recipe on Liquid Culture that I absolutely love, so make a batch of your own and learn why you can never have the fake syrupy stuff again! The Daisy was said to be first brought up in a novel back in 1866, and then you see it appear in the popular New York Bar by Fred Eberlin. This bar would house the men of Wall Street but it’s taste profile catered to women just as well. It had its time, where it was the most popular drink around until the Tom Collin’s was established. When Whiskey was the preferred spirit (a.k.a. available to the masses) it was imbibed this way, and when English Gin was new and exciting, it switched again. That’s what I love about these cocktails, they were completely adaptable which really stamps it as a classic. Back in the day, recipes were written quite differently in terms of measures and vessels. For example, powdered sugar meant a superfine sugar, which for me is Simple Syrup, and I adjust the recipe slightly to accommodate my interpreted new measures. That’s why I’ll always call these recipes New School, because we just don’t do things like they used to. I want to bring these recipes into the new ages and make it easy for you to replicate. Also the classic recipe has this in a Julep Tin with crushed ice. I’m going to attempt this later on, but since history lends itself to describing it as a fizz or collins, I decided to go with the interpretation of today. So without further ado, I bring you the DAISY! 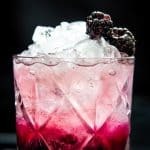 A look at a classic cocktail recipe, inspired by David Wondrich’s Imbibe book – Combines Gin, Grenadine, lemon and lime with sugar and soda! In a shaker, combine all ingredients (except Sosa) squeeze lemon and lime and drop them into the shaker. Add ice and give this a shake. For access to my own homemade grenadine syrup, follow the link attach. Note that most Simple Syrup ratios on Liquid Culture is a 1:1 ratio of hot water and sugar.